UK immigration minister, Caroline Nokes, recently made a number of surprising announcements as the country prepares to make visa reforms. Below, Breytenbachs Immigration Consultants broke down some of the most important changes and what they will mean for South Africans. The current Tier 1 Entrepreneur route will be replaced by a new Innovator route, for more experienced business persons. It will have a “similar emphasis on endorsement by a business sponsor, who will assess applicants’ business ideas for their innovation, viability and scalability”. “We subsequently encourage applicants who still want to apply under the current Tier 1 Entrepreneur route, to contact us without delay,” Breytenbachs said. Earlier in 2018, the UK Government announced that it will establish a new Start-up visa route. This route will build on the Tier 1 Graduate Entrepreneur route. Applicants under this new route will have to be endorsed by either a business or higher education institution sponsor. The UK Government announced on 6 December 2018 that the Tier 1 Investor route is suspended. It added this route will from 7 December 2018 no longer be open for applicants to apply, and that new rules will be put in place sometime during 2019. “The Tier 1 (Investor) visa is not currently suspended. However, the Government remains committed to reforming the route. A further announcement will be made in due course. The Tier 1 Exceptional Talent route will be expanded to provide for the inclusion of leading architects. These architects will have to be endorsed by the Royal Institute of British Architects, under the remit of the Arts Council England. Tier 5 Religious Workers and Tier 5 Charity Workers will in future have a cooling off period. This cooling off period will prevent them from returning to the UK for 12 months, on another Tier 5 visa. This step is taken to underpin the fact that this is a temporary route. The reversal of the unabridged birth certificate rule is just one of the many changes implemented by the Department of Home Affairs. South Africa will implement some changes to its visa system in December 2018 which will likely impact tourism and immigration procedures. This was revealed by the Department of Home Affairs, which recently published its regulatory amendments pertaining to the Immigration Act of 2002. This official government notice, published on 29 November, has been reported on by Business Tech in the wake of former Home Affairs Minister, Malusi Gigaba’s, disgraced exit from the department. While Gigaba’s dubious tenure came to an abrupt halt following serious allegations of corruption, mismanagement and Constitutional violations – his time as Home Affairs minister will forever be stained by the unabridged birth certificate debacle. This rule, which required minors entering or leaving South Africa to produce an unabridged birth certificate, has been overturned. The controversial rule, implemented by Gigaba during the start of his term, allegedly cost South Africa R7.5 billion due to a noticeable drop in lucrative the tourism sector. The reversal of the unabridged birth certificate rule is just one of the many changes implemented by the Department of Home Affairs, due to take effect on 1 December. Let’s look at some other revised regulations which will affect the visa system in South Africa. Applications need to prove to the Director-General that the applicant is a spouse to a citizen or permanent residence permit holder. Applicants need to sign an agreement stating that the permanent homosexual or heterosexual relationship has existed for at least two years before the date of application for a relevant visa and that neither of the parties is a spouse in an existing marriage. Documents detailing the financial support the partners provide to each other need to be provided. Both partners to a permanent homosexual or heterosexual relationship may be interviewed separately, on the same date and time, to determine the authenticity of the existence of their relationship. Revised regulations relating specifically to children in transit have been noted in the Department of Home Affairs’ document. In addition to no longer needing an unabridged birth certificate, here are some points for parents and guardians to be aware of when travelling to and from South Africa. 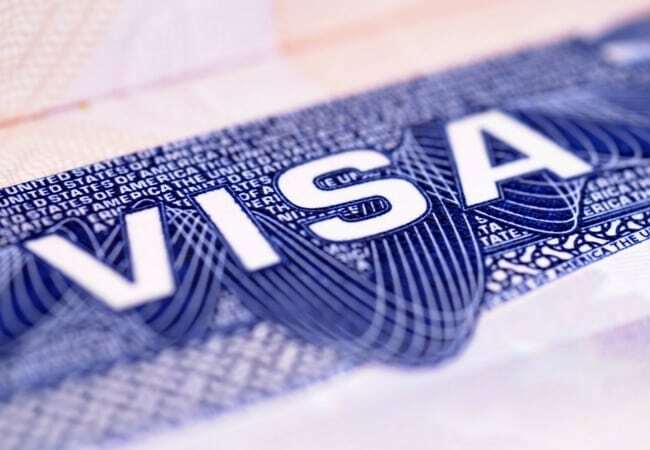 Visa revisions have also been made concerning foreigners who intend to establish a business or invest in a business that is not yet established in South Africa. These revisions include providing detailed account information and registering with various state institutions, including SARS and the Unemployment Insurance Fund. the contract of employment stipulating the conditions of employment, signed by both the employer and the applicant, is in line with the labour standards in the Republic and is issued on condition that the general work visa is approved. Corporate visas also need to pass through the Department of Labour, following a similar process by engaging integral state institutions. To make use of the Department of Home Affairs’ e-services, click here. To find your nearest Home Affairs office, click here. What is the change? South Africa has announced significant changes to the validity period of visas. Visas will no longer be valid beyond the expiration date of the holder’s passport, and authorities will no longer recognize or transfer an existing visa from an old passport to a new passport. What does the change mean? All foreign nationals currently holding South African visas should check the expiration date on their passport, which is the date that now controls expiration of their visa (regardless of the visa’s stated validity period). 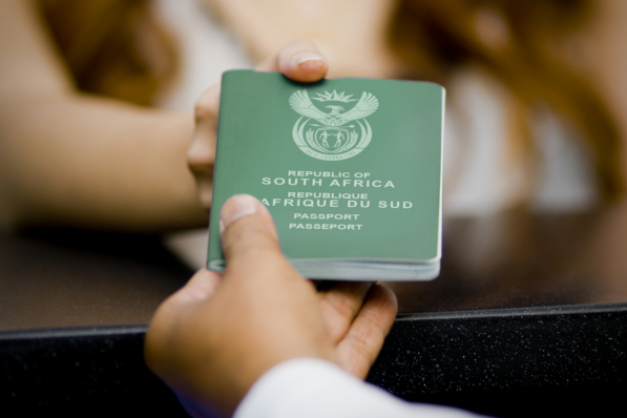 Individuals applying for South African visas should also make sure that their passport is valid for at least 30 days beyond the requested visa period. How will this impact foreign nationals with existing permits? · Implementation time frame: Immediate. · Visas/permits affected: All South African visas. · Who is affected: Individuals currently holding or applying for South African visas. · Business impact: The policy adds significant administrative burdens and requires employers and individuals to be aware of passport validity periods before applying for visas, as well as during the term of their visa. Individuals risk overstaying their visa (resulting in a one-year bar from entry into South Africa) if their passport expires before the end of their stated visa term. · Next steps: Companies should work with their BAL professional to identify affected foreign employees and family members, including minor children whose passports usually have shorter validity periods. Those applying for visas may need to obtain a new passport if it is due to expire within the requested visa period. Those who already hold a visa that expires within 30 days before their passport expires may need to leave South Africa to avoid overstaying their visa. Background: Previously, South African immigration authorities issued visas with a maximum validity period based on the period requested in the application. If a visa holder’s passport expired during the visa period, authorities would allow the visa holder to travel into South Africa with the expired passport holding the visa and the new passport; those already in South Africa could transfer their visa from an old passport to a new passport. Under the new Department of Home Affairs policy, the maximum validity of a visa is the passport’s validity period minus 30 days. The policy affects individuals currently holding South African visas as well as those applying for or renewing visas, and affects visas issued abroad or in-country. According to the DHA statement, “A visa issued with an expiry date beyond that of a passport is considered to have been issued in error and when discovered will be withdrawn.” The statement further clarifies that foreign nationals will not be exempt from immigration enforcement because a visa was issued in error. 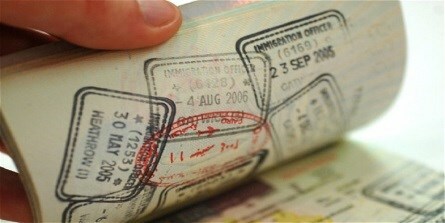 Therefore, in the event that a visa holder’s passport expires while in South Africa during the visa term (even if the visa validity was issued in error), DHA is likely to deem the foreign national an overstay who is subject to being on the “undesirables” list and barred from re-entry for at least 12 months. For assistance with matters contact our South African immigration team – immigration@relocationafrica.com or call our offices +27 (0)21 7634240 Relocation Africa can provide a management tool to manage all foreign nationals expiry dates on passports and visas.